Recently all I’ve wanted to do is write about beauty products, from my favourite Generation Beauty discoveries to the wonderments I picked up in Japan. 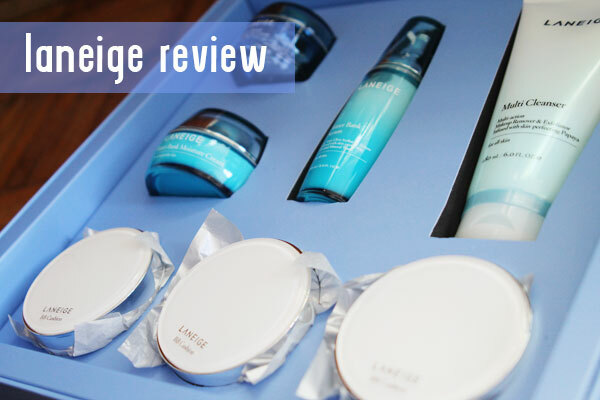 But I’m kicking things off with a review of Korean skincare line, Laneige. 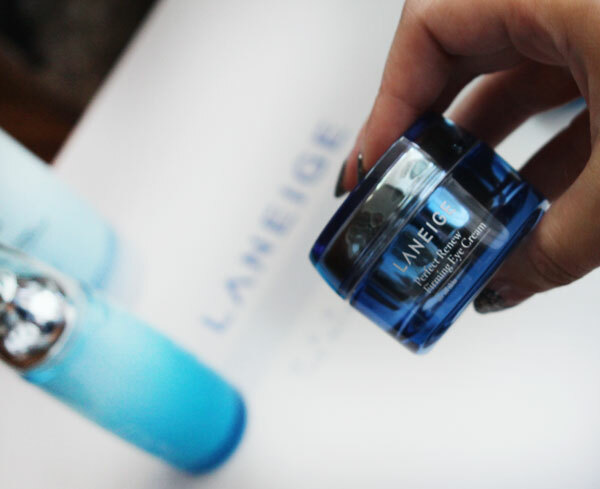 I met with the Laneige team at Gen Beauty earlier this year, and they, very kindly, sent me a full set of product. 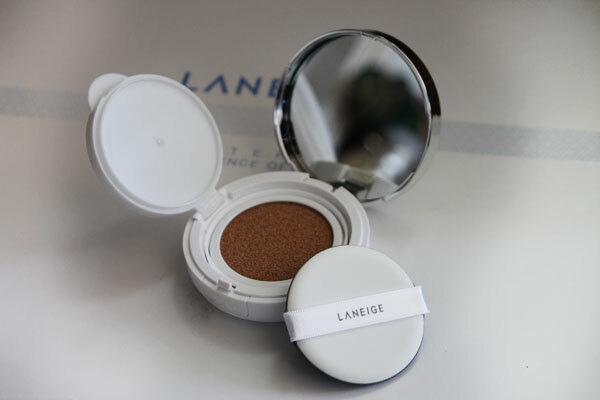 I’m going to review each item, but first a little about Laneige. So, I’m a lazy so and so when it comes to washing my face. If cleansing cloths hadn’t been invented I shudder to think what the state of my skin would be. Going to bed with a full face of make-up on would be a daily occurrence. Yep, I’m gross. So a full cleansing experience is usually reserved for shower time only. This cleanser is super creamy, with papaya to exfoliate and “micro cellular beads” to remove impurities. 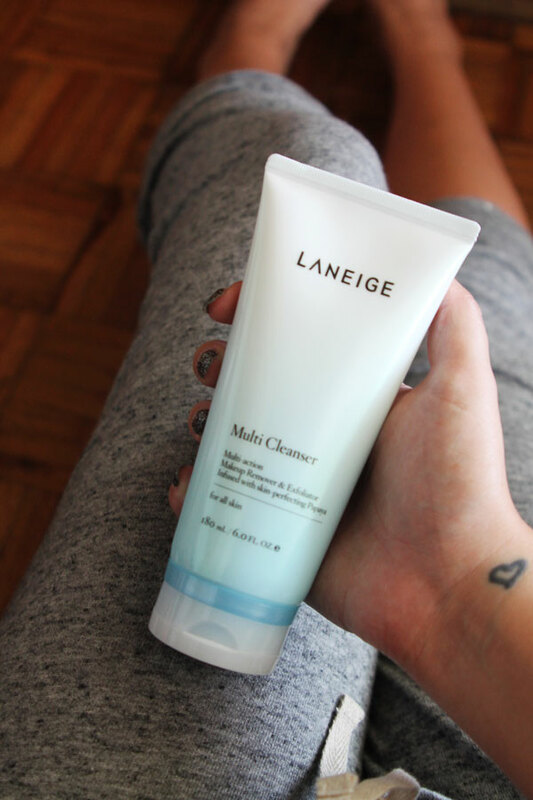 The best thing about this cleanser is the exfoliation – it’s light but not abrasive, and my skin appears brightened but not dried out. I have combination skin (oily t-zone) so it works perfectly for me. This magical serum is one of my favourites. If you’ve been paying attention to beauty trends, you will have noticed that Serum is where it’s at. A standard step in Korean skincare, it’s a new added step for the western market. My first foray into Serum was in Japan, and I’m hooked. 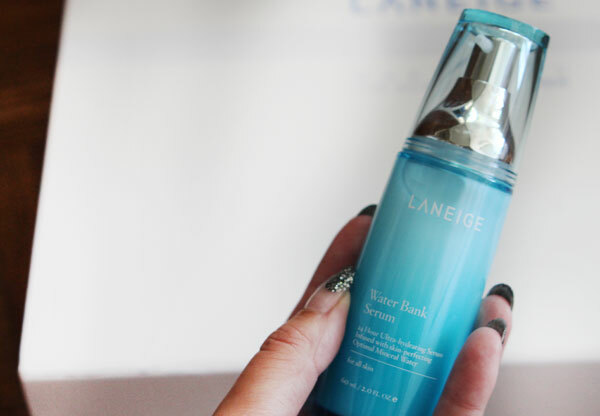 Lighter than a moisturizer and more of a gel consistency this serum soaks into your skin fast and leaves you super hydrated and “dewy”. Some days I use it alone since it does such a beautiful job, but it’s designed to be used before the moisturizer, some days I just don’t need that much moisture! I really, really, really love this product. I’m hooked for life. Guys I’m thirty now, and despite discovering a new youthful exuberance (seriously I feel younger now than I did when I was 25!) I have to really start paying attention to things like eye creams. I love this one since it’s super hydrating AND firming. I notice a difference when I use it, and when I skip it, it’s apparent. It’s also super light and non-greasy. I don’t have to wait too long to apply make-up and it soaks right in. 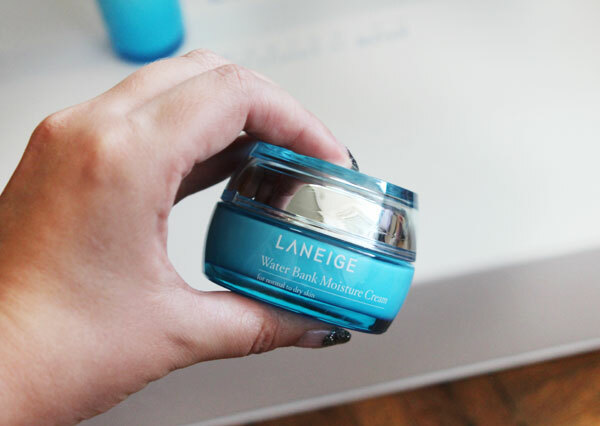 When the Serum doesn’t quite finish the job, this moisture cream is a good next step. The moisturizer (which contains mango butter) is super rich BUT it’s not heavy – which is the remarkable thing about all of these products, hyper moisturizing but not greasy or heavy and they’re all absorbed effectively, instantly. If I wanted to put make-up on immediately after I can. My only criticism here is that there is no SPF in any of these products – which is fine if you make the next step (and mannnn the next step is AMAZING) but if you want a make-up free day, then you need to look elsewhere for SPF. Oh my GOSH YOU GUYS. So you’ve heard of BB Creams right? Sure they’re magically light and provide such glow-filed coverage but could you imagine if they were lighter? GLOWIER? With MORE coverage? Well. Imagine no longer. This is a beauty revelation and is pretty much the best product that ever existed. 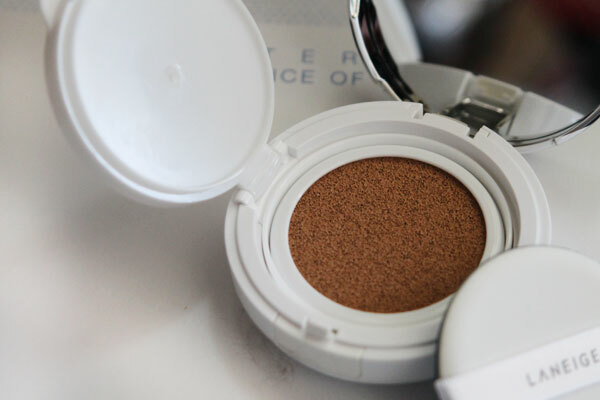 This cute compact is home to a bouncy BB Cream (officially known as BB Cushion) that you apply with a sponge that lives on a sponge. I’m the Queen of hating foundation. I rarely wear it, but this has changed everything – I hate skipping foundation now, because I know what awaits my skin – all this PLUS SPF 50. It leaves my skin dewy, natural, but evens out my skin tone and gives amazing coverage – it’s also easy to apply, and lasts all day (and if it’s particularly hot, then reapplying is easy). All in all I’m a massive Laneige fan, fan for life fandom levels. Glowing skin. Glowing review. It’s just that easy.